I’m delighted to have the wonderful Jane Jackson with me today. 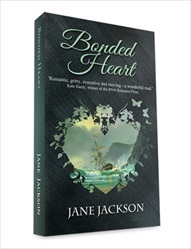 Fellow Accent author, and wonderful e-friend, Jane’s latest novel, Bonded Heart, has just been released. So what’s it all about? In early C19th Cornwall smuggling was a way of life. But the risks were enormous. If caught, depending on the justice who tried the case, a man could be sentenced to transportation. This threw his wife and children onto the mercy of the parish, which meant the workhouse. Corrupt justices – and there were many – turned a blind eye to ‘free-trading’ in exchange for a share of the profits. Some even financed boats themselves. They imposed harsh sentences on captured crews of rival boats while letting their own off with minimal punishment. In the 18th century there was no officially organised police force. The administration of justice was one of the responsibilities of Cornwall’s landed gentry. So I thought: what if my hero, Branoc Casvellan, is the son of a corrupt justice and has spent his adult life trying to repair the damage to the family name caused by his father? What if he falls in love with a young woman totally unsuitable for a man in his position? 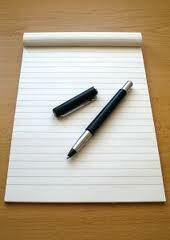 One whose background and circumstances challenge his determination to administer justice without fear or favour? Then what if something happens that makes him dependent on her? As the Justice swung back to her, Roz flinched at the anguish in his gaze. ‘How do you know?’ he demanded. After an instant’s hesitation she nodded. ‘But he had drunk very little.’ She would not lie until she had no choice, and that time would come all too soon. ‘Me?’ Roz’s head spun as shock and yearning to agree battled powerful reasons to refuse. Once word reached Will Prowse that she was staying at Trescowe to help the Justice he would never trust her again. If she were here she would not have to see him. Her head jerked up, but just as quickly she turned away, terrified of betraying herself. He knew – who better – that she needed money, and his offer was generous. Before the formation of police forces the law was administered by local Justices. Though some were men of integrity, others used the law for their own ends. Bonded Heart is set in the early 1800s when the war with France, sky-high food prices, and poor harvests meant that smuggling was the only way of avoiding starvation. Branoc Casvellan became a Justice to try and wipe out the stain on the family name caused by his father’s behaviour. An honourable man who tempers justice with mercy, he’s appalled by his attraction to Roz Trevaskis, the illegitimate daughter of a drunken whore. When Casvellan’s brother catches smallpox, it falls to Roz to nurse him – bringing her into close contact with her handsome employer. But how will Branoc – and his family – react when the truth about Roz’s past, and her involvement with the local smuggling trade comes out? 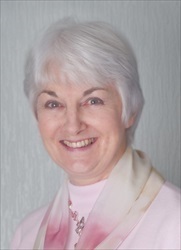 A professional writer for over thirty years, and twice shortlisted for Awards: the Romantic Novel of the Year Award in 2002, and the Rona Historical Prize in 2011, Jane Jackson has had twenty-eight books published. Cornwall has been her home since she was two, and the county’s rugged scenery, fascinating history and pioneering inventors have provided inspiration and settings for her historical adventure romances. Thank you ever so much for coming to visit today Jane!